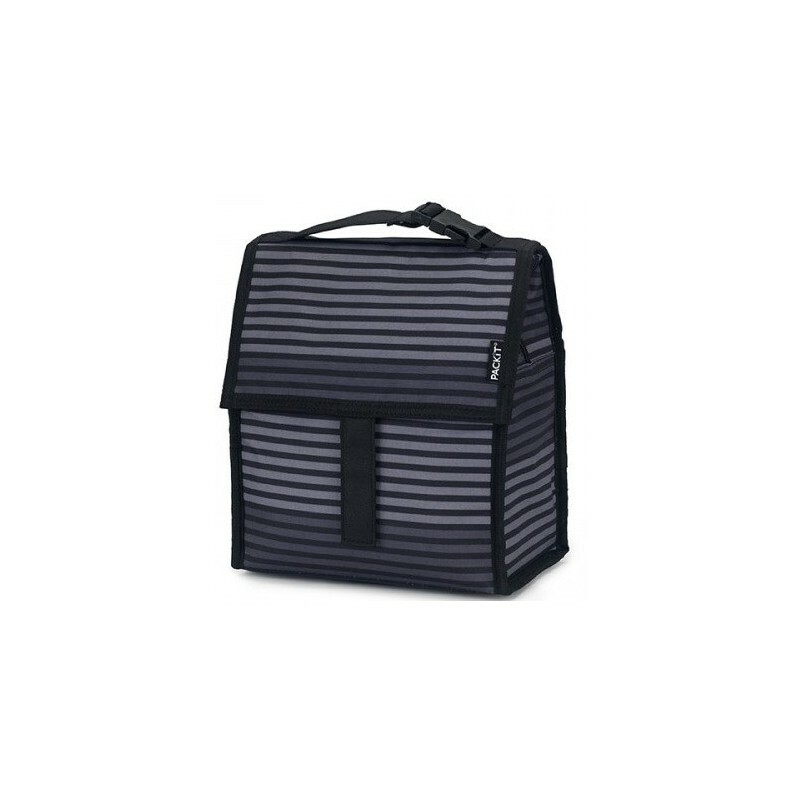 Our most popular lunch bag style in 'Gray Stripes' design. 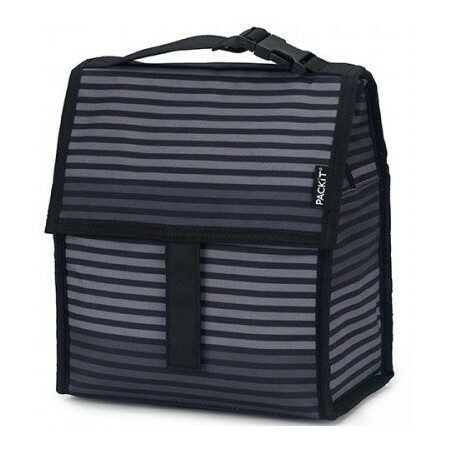 Packit's freezable insulated lunch bag with a built-in eco-gel liner lets you take safe, healthy meals everywhere without the need for ice packs. Keeps contents cool for up to 10 hours. PVC/lead-free, non-toxic & reusable. Folds compactly in the freezer for storage. New zip closure locks in cold, dry air inside lunch bag. 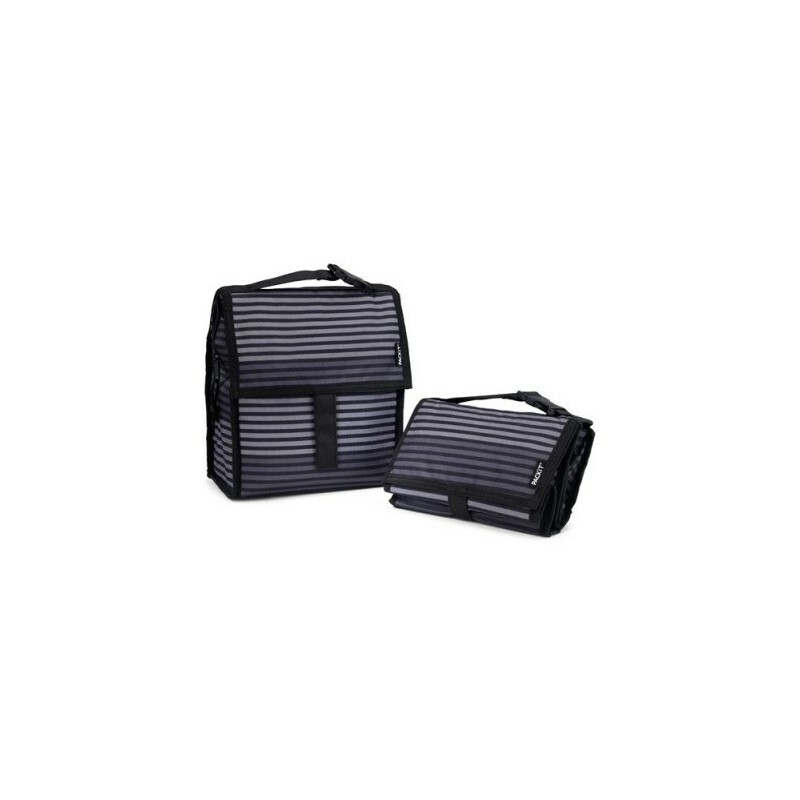 Handle & adjustable buckle, zip closure & Velcro® secured flap. Buckle handle clips easily onto school bags and strollers. Foldable when not in use & can be stored inside your freezer. Keeps contents cool for up to 10 hours (when fully frozen for 8-12 hours). For a completely waste-free lunch combine your lunch bag with our reusable lunch containers or wraps. 20.3 x 12.7 cm flat base. Dimensions narrow at opening. Since I bought mine, I've been using it every day for work. When I come home, it just gets popped back into the freezer. It's perfect for situations where there is no or little fridge space (most workplaces) as you can keep it in your backpack and know the food will stay lovely and cold. 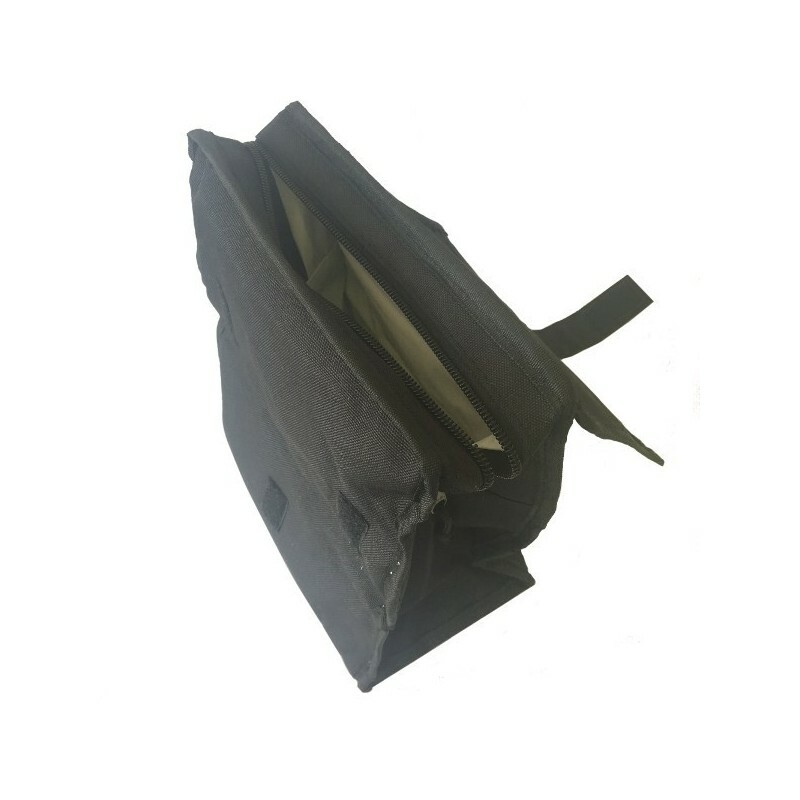 Once lunch has been eaten, the bag is also useful to cool you down if you're a bit hot, or as an ice pack if you injure yourself. I've done whole days at work (8hrs) and it is still pretty frozen by the end of the day and there's been some hot days this summer.